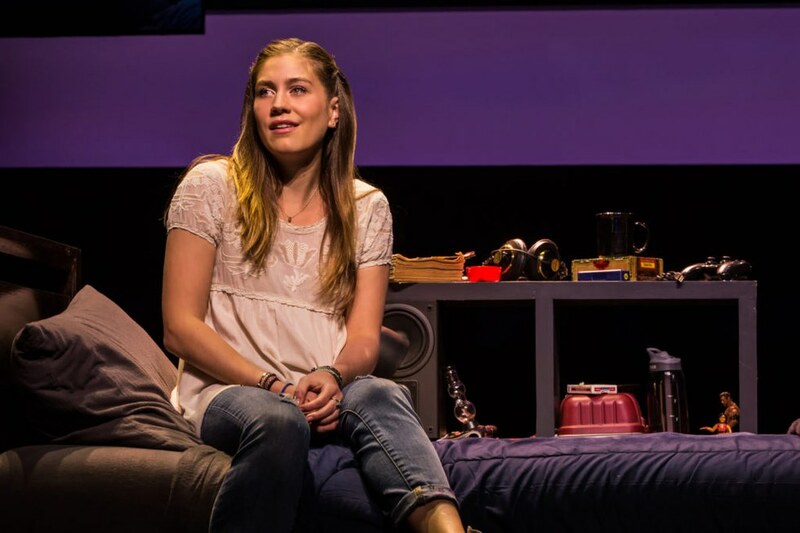 Eleven of my favorite quotes from the new musical "Dear Evan Hansen" that changed my perspective after seeing the musical live. 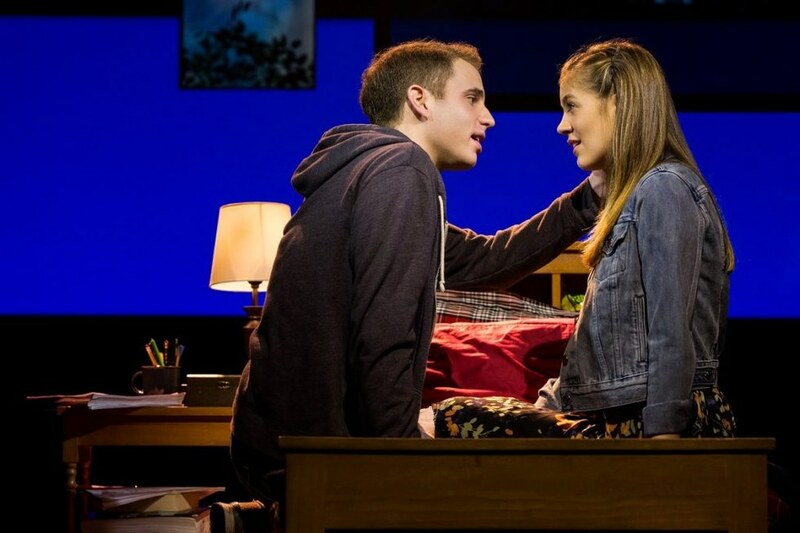 The new musical Dear Evan Hansen, showing on Broadway's Music Box Theater is a suprisingly uplifting story about a boy who kills himself, and the star of the show (Evan Hansen played by Ben Platt) getting caught up in a messy lie, pretending to be best friends with the boy who took his life. The story, however, is much more than one of sadness or suicide. It is one of love, the unconditional kind and the kind that you find yourself falling into. It is a story of friendship and forgiveness and owning up to your mistakes. But most importantly it is a story of accepting yourself and becoming confident in your own skin. 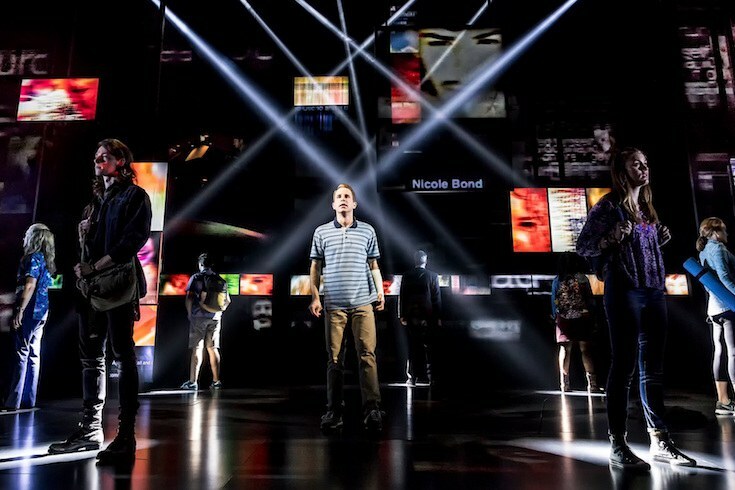 I was given the opportunity to see Dear Evan Hansen live on Broadway, and after hearing the songs live, the lyrics gave me a whole new meaning than when I would listen to them in my room through my headphones. 1. "I've learned to slam on the break, before I even turn the key." Coming from the first song that was released off of the soundtrack "Waving Through a Window," this line helps charactarize Evan as anxious and nervous during interactions with others. Hitting the brake while starting a car is not necessary for it to start, but he creates this metaphor by saying he takes extra and unnecessary cautions before entering any seemingly simple and easy situation. As Evan is characterized, the audience or the listeners are able to connect better to him and to the story because more people than we may know must go through anxious thoughts and actions, that can be very difficult to live with. 2. "No one should stick it out or have any doubt that it matters that they are here." "Dissappear," a song sung by Evan and his two friends as a proposal to Connor's (boy who committed suicide and was presumably best friends with Evan) parents about a project they are beginning to keep Connor's legacy alive, is a straightforward remark that "no one deserves to dissappear." This quote recognizes the struggles that many people face of hiding their struggles and not doing anything to fix them because they think it would be easier to hide it. It recognizes that people should not have to do this, and it is a request for people who are going through the things that Connor did to reach out and tell people that they are struggling, because it really does get better and asking for help is the first step. 3. "It takes a little patience, takes a little time. A little perseverance and a little uphill climb." I believe this quote can relate to many things. It is a duet sung by Connor's father and Evan, titled "To Break in A Glove." Though it is literally talking about the correct way to break in a baseball glove, it can also be talking about parenting, school, or recovery from depression, anxiety, or any other mental disorders that can be consuming. Connor's dad was not anything of a prime parent to Connor, and this quote can mean that parenting a kid to your full potential takes patience and time. School, another big struggle in Evan's life as well as Connor's, takes patience but as does the most consuming and memorable aspect that the musical is addressing: overcoming depression and anxiety so that it does not consume you and lead to the decision that Connor ended up making. Though it may seem like a neverending cycle of depressing thoughts, to overcome them it takes patience and perseverance, much like any other accomplishment. 4. "Even when the dark comes crashing through, and when you need a friend to carry you, when you're broken on the ground you will be found." From what is most definitely my favorite song from the soundtrack, "You Will Be Found" addresses the fact that so many people feel alone and feel as though Connor did. This line shows that even though you may feel alone and you may be at your darkest, deepest point, there will always be help and support and someone to care for you. You are not alone. 5. "I'd rather pretend I'm something better than these broken parts, pretend I'm something other than this mess that I am." The line from "Words Fail" shows Evan at his most vulnerable. It shows the side of him that he wishes no one to witness because it is his worst side. I find this song to be the most emotional, and most importantly because the lyrics can be related to so well. With depression and anxiety, people can act out and do things as they see fit to make themselves feel better, which is partly what Evan did, pretending to be Connor's friend. This quote shows the reasons behind those actions, helping people in the same position feel relieved for the things that they think are going wrong only for them. 6. "When you're falling in a forest and there's nobody around do you evern really crash or even make a sound?" This line is another from "Waving Through a Window" and ties to Evan's anxiety as well. It shows the slow deterioration of one's mind, and how no one even notices when someone is going through things like that, hence the metaphor to the tree falling in a forest and no one hearing it because no one is there. It is making a notion to the fact, also, that people are so afraid to discuss the issues of suicide and depression and anxiety, and that it is a problem especially among youth. 7. "Why should I play the grieving girl and lie saying that I miss you and that my world has gone dark without your light?" This line from "Requiem," sung by Connor's sister and parents, is a different perspective of what happened to Connor, a more cynical perspective. While it may seem insensitive, I enjoy that Zoe (Connor's sister) stands her ground with her relationship with her brother and remains indifferent, instead of lying about loving him just because she isn't able to anymore. 8. "If I could tell her how she's everything to me, but we're a million worlds apart and I don't know how I would even start." Although this is about how Evan feels about Zoe - not Connor - it shows how crippling it can be to wish you could be able to tell someone something, especially about your mental disablities, but you feel like you can't because you aren't close enough or don't know where to begin. 9. 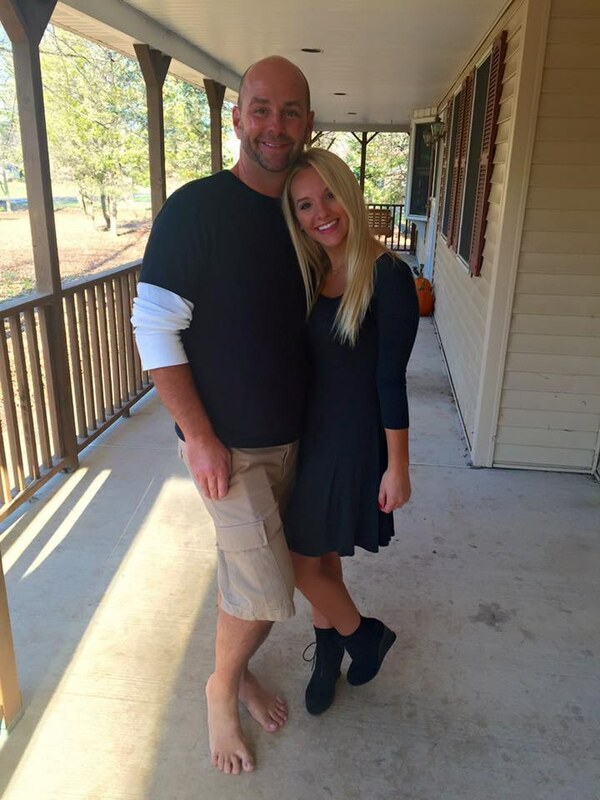 "So you got what you always wanted, so you got your dream come true, good for you." This song is a turning point in the musical where Evan's actions begin to creep back up on him. It shows that even though you get what you wish for, it isni't always perfect all together. This line shows also that what you first think you want isn't always going to lead to the perfect life or the perfect girl or the perfect family, and you must not face your struggles with lies as Evan did. 10. "Your mom isn't going anywhere your mom is staying right here no matter what, I'll be here." This comes from the song "So Big/So Small," when Evan apoligizes to his mother about abandoning her essentially for Connor's parents and she confesses to the hardships she has faced as a single mother who doesn't make much money. This is one of my favorite quotes, because it displays unconditional love from your family, and shows that no matter what it is you go through and no matter how much loathe you may feel for yourself, your family loves you and supports you. 11. 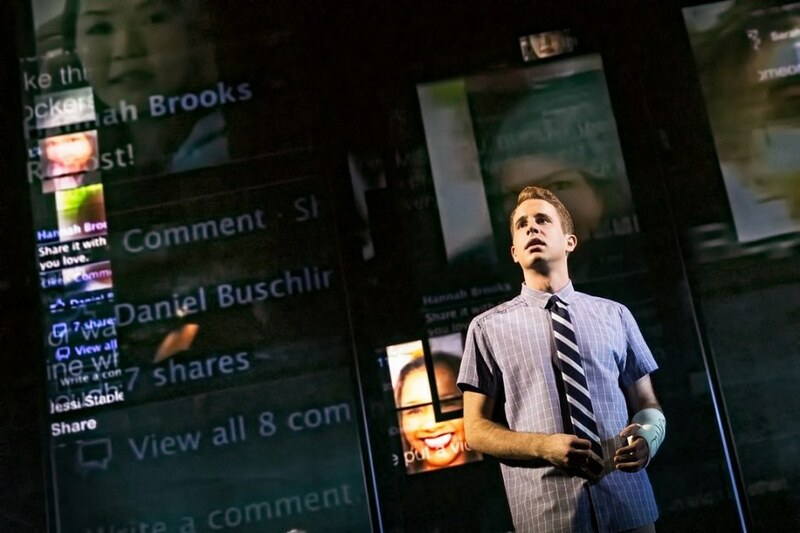 "Dear Evan Hansen, today is going to be a great day and here's why: because today at least you're you and, well, that's enough." These opening words to the finale close up the message of the show: that you are enough, no matter what anyone tells you and no matter what you begin to tell yourself. Making mistakes is human, as is having depression or anxiety, and just because you make mistakes or you have depressed thoughts does not mean that you are any less of a person than someone who doesn't feel the same as you. This musical and this line taught me that no matter what, you are wanted, you are needed, and you are worth it no matter what you do or what you go through.